Beech Park's Christy Broe won the the RaboDirect Hilary Golf Society's season opener in testing conditions at Laytown and Bettystown. Despite a testing breeze, the six handicapper carded a fine, five over 76 to pip fellow veteran, Terry Lilly of Slade Valley on a tie. Defending Gold Medal holder, Gus Fitzpatrick from Naas, finished well down the field after an 82 at the club that gave Irish golf such luminaries as Des Smyth and Declan Branigan. Royal Dublin's Sean Ryan, making his debut in the Hilary, took the gross honours with a fine 72. The Island's Paul McBride will, after all, make his debut at Portmarnock Links on Sunday, February 16th. Bill Thompson (President, Hilary Golf Society) and Kevin Knightly (CEO, Rabobank Ireland) at the launch of the 2013 season.Irish Amateur Open champion Gavin Moynihan will be making his debut when the RaboDirect sponsored Hilary Golf Society celebrates the opening outing of its 60th season at Laytown and Bettystown on Sunday. Forrest Little’s Ray Gregan was top dog in the Hilary at Portmarnock Hotel and Golf Links on Sunday. Picture by Jenny Matthews/www.golffile.ieForrest Little’s Ray Gregan defied a stiff breeze to card a one over 72 for victory in the RaboDirect Hilary Golf Society outing at Portmarnock Hotel and Golf Links on Sunday. Walker Cup star Gavin Moynihan might be missing the 2014 season as he chases the American dream in Alabama, but his close pal Paul McBride will be hoping to follow in the footsteps of his Island clubmate when he makes his debut in the first RaboDirect sponsored Hilary Golf Society outing of the season. 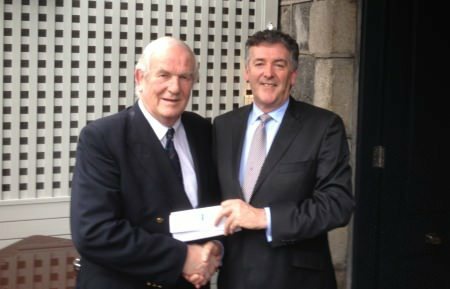 Former South of Ireland champion John Greene will get the second RaboDirect Hilary Golfing Society outing of the season underway at Portmarnock Hotel and Golf Links on Sunday. Three handicapper Brendan O'Malley continued his good form with a victory in the Rabo Direct sponsored Hilary Golf Society outing at Laytown and Bettystown. McIlroy prepares Honda return: "I guess I let frustrations get the better of me and perhaps should have adopted a more mature approach"